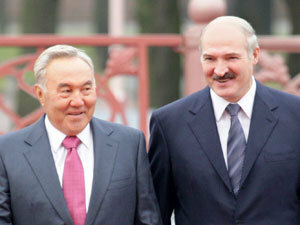 BelarusDigest > All > Belarusian President Wants to be European Nazarbayev? In the last months Ukraine has significantly increased its importance in the European part of the CIS. 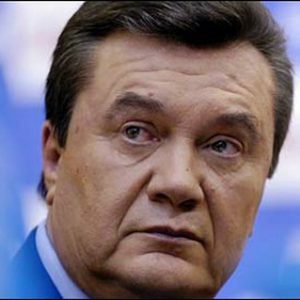 The new president Viktor Yanukovych enjoys a honeymoon with Russia: Ukrainian-Russian cooperation has started booming after previous president Viktor Yushchenko had left office. Ukraine and Russia have agreed on lower gas prices for Ukraine*, on the Russian Black Sea Fleet staying based in Ukraine till 2042. Vladimir Putin has even made a sensation by speaking of a possible merger of Russia's Gazprom and Ukraine's Naftogaz. Added to this, there come smaller initiatives to establish cooperation (or to sell relevant Ukrainian assets to Russians) in nuclear power, shipbuilding, aviation construction, power generation and supply. At the same time, since the times of president Yushchenko Ukraine is an important partner for the largely isolated Belarus. Ukraine remains one of the very few European countries having official political contacts with the authoritarian Belarusian government and the contacts have only intensified with Yanukovych becoming president. Ukraine has recently become the transit country for the important Venezuelan oil supplies to Belarus. In April the Belarusian parliament has finally ratified the border treaty with Ukraine, which has been the key issue of Belarusian-Ukrainian relations since the collapse of the USSR. 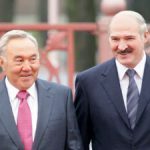 Relations between Belarus and Russia are currently in a crisis since Russia has imposed duties on oil supplied to Belarus. This came despite establishing a customs union of Russia, Belarus and Kazakhstan at the very same time. The disappointment with absence of progress in the Russian-Belarusian integration have led to Russia unilaterally transforming the relations with Belarus into a more pragmatic and market-based form. Ukraine could threat Belarus as a new strategic ally for Russia in Europe, for it would be psychologically easier for Russia to impose a hard line on Belarus when it isn't the only faithful satellite on the European continent. On the other hand, Ukraine could potentially act as intermediary between the two. In any case, Ukraine seems to become a more important actor not only in Belarus' relations with the EU, but also in Belarusian-Russian relations.